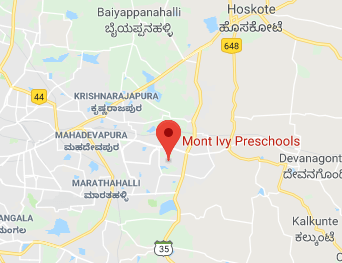 Mont Ivy Preschools | Why Montessori? Do you remember your classmates from school? All of us remember at least a few classmates from our school days. A few of us would be good in studies, participate in most co-curricular activities, be confident, outgoing and curious about everything. Whereas a few, would mostly be silent and reclusive, would shy away from being noticed, and usually remain contained within ourselves - though equally good in studies. As the school years would progress, we would usually see those initial personality traits carry on. It is not uncommon to see that as we would further progress into our higher education and professional lives, those traits would become more dominant and eventually become our identities - our way of life. It is largely seen that the personality constructs that are initially set during early childhood usually stay with the individual even in his/her later life - until the person faces a life-changing event. It could be in the form of a change in environment, a near-death experience, a sudden realization, or a big shock. There are also scores of research studies that suggest that early years play a significantly disproportionate role in shaping up a child's attitudes, personality, success and happiness in life. It is with this understanding, that we at Mont Ivy have adopted the Montessori method of learning as our base approach. In our view, the Montessori philosophy of learning makes the most out of the once-in-a-lifetime opportunity of establishing learning patterns - when the child is still learning how to learn. Montessori method is an educational philosophy that augments the natural process of learning in a child. It is an activity based learning approach which focuses on a child's all-round development. It encourages 'learning by doing' and lays special emphasis on developing independent thinking and fostering creativity.